I am often asked about the “ratio” and percentages of raw food for cats. Firstly, drop any thought of it all being too hard, because it is all really simple. 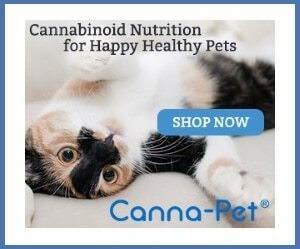 Cats are designed to eat raw food and ANY raw food you can add into a kitty’s diet is going to be of benefit to her. This page should help you to understand the whole “raw feeding” thing, so you will figure out raw cat food ratios quickly. So if all you are able to do to start off with is to add a meal or two a week of raw, then just do that. 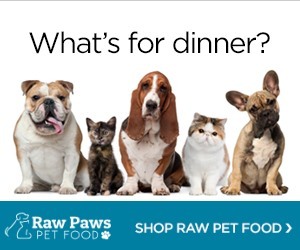 The info here on raw cat food ratios is not designed to confuse you, but help you make great choices for your raw fed cat. What to feed and the ratios can all become very confusing. So again, let that go too. Just get some meat into your kitty. Perfection is wonderful to aim for but it is impossible to obtain, and if you stress over it then you are only beating yourself up for nothing. I must admit that I used to be very much a perfectionist when it came to food for my cats. But, as I said before – you cannot live like that, and I spent years stressing that I simply couldn’t even buy what I wanted for my cats. You can only work with what you are able to get and what you are able to feed. Some people cannot stomach the thought of even handling raw meat. If you are one of those people but would really like to feed your cat the best you can, then see if you can get a butcher to prepare and freeze cat sized raw meals for you. That way all you need to do it thaw it and tip it onto your cat’s plate. 5 – 10% organ meat with half that amount being liver (if fed daily this would only equal about the size of a grape or two). But to look at it a much easier way, feed your cat: mostly meat, a little bone and a little organ. And make sure to INCLUDE all the things you would normally remove for us humans, like the skin, the fat and cartilage etc. The best lean beef steak for humans is not really ideal for cats – way too much straight meat and not enough of the other elements. Think of a mouse, and roughly what percentage that would be made up of. You don’t really need to weight out everything and feed a perfect amount of liver or heart in each meal. You cannot live like that. Give your kitty a chicken wing for breakfast. Then for dinner, give her some chunks of chicken meat with maybe a little organ in it. Easy peasy. Make sure to mix it up though. Feed a wide range of different meats to cover all bases and prevent any deficiencies. The best of course is small mammals and little birds – if you can get them! Quail is perfect, but very expensive if you have more than one cat. Here are photos of my own Ragdolls and some of the things they eat in their: raw food diet. I wish there was more variety and better quality available. But you can only get what you can find. One day maybe someone will open a fresh pet food store near me – there is certainly a big call for it, and no one is supplying this market properly. So, don’t get too fazed by raw cat food ratios and percentages. Over time is usually good enough. I have found this new product line which looks to be very exciting! WHOLE food, raw meat products. Available in both Frozen and Freeze dried. The Freeze dried food you can feed to you cat as dry treats. Or you can reconstitute them by soaking overnight. This is pretty cool, and I am excited to see this compant has such a wide range available! The Freeze dried foods are also a great idea to store as a back-up, for when you are all out of raw food for some reason. Check out the choices – WooHoo!! !